“Hera’s Heroes,” this week’s episode of Star Wars Rebels might just as easily been called “The Reasons We Fight” for that concept lies at the heart of this story. For Hera and the rest of the Ghost crew, family and preserving their way of life is shown to be a principal motivating factor, and when Grand Admiral Thrawn threatens those things, our heroes band together to help one of their own. 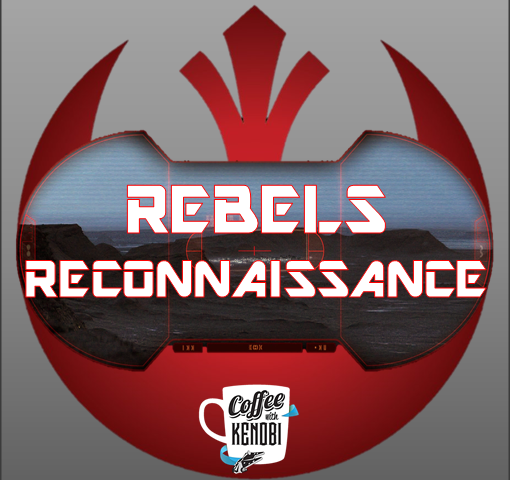 An episode that explores more of our favorite Twi’lek pilot’s backstory, “Hera’s Heroes” takes us back to her home planet of Ryloth and into her very childhood home where Imperial forces under Grand Admiral Thrawn have now taken up residence. Hera’s father, Cham Syndulla, has continued his fight against the Empire in hopes of liberating his homeworld, but reveals early in the episode that his enemies have raised their level of engagement as they seem to be anticipating the insurgents’ moves. Indeed, Thrawn’s influence is pervasive as forces under his command are more deliberate and a greater threat than ever. As he always has the larger picture in mind, Thrawn’s choice to use the Syndulla home as a base of operations seems less based on the physical resources it provides than the psychological insights it imparts. In his fight against the Twi’leks, Thrawn seeks to know the species intimately in order to defeat them more efficiently. Consequently, by taking up residence in the house of his adversary, the Chiss strategist hopes to exploit knowledge Cham and Hera are not even aware that they are revealing. And so it is at the Syndulla residence that most of the action in “Hera’s Heroes” takes place. In effort to reclaim a priceless family heirloom called a “Kalikori,” Hera has begrudgingly enlisted her friends to help her infiltrate her childhood home. Though she feels that this is a selfish act and not worthy of using the Rebellion’s resources, her friends insist on helping one of their own, for there are no small battles in this war and even the smallest thing lost to the Empire is a crucial piece taken from who they are. Fortunately for our heroes, the Empire has underestimated them to this point. But Thrawn does not hold to the same elitist mindset. Rather, Thrawn respects his enemies–or at least their potential as adversaries. This is especially true of Hera whom the admiral seems to admire due to the fact that her origins are so intrinsically tied to war. And though she tries to hide her identity by adopting a native Twi’lek accent (which is interpreted as a sign of ignorance and low economic status by a subordinate of Thrawn’s named Captain Slavin and is in itself an interesting bit of social commentary), Hera’s pursuit of the Kalikori (an object of little monetary but great hereditary value) reveals that she is part of the Syndulla family. The rest is then a simple matter of deduction for Thrawn. In many ways, “Hera’s Heroes” serves as a character study of Grand Admiral Thrawn. Throughout the episode, Thrawn is shown to be incredibly patient and focused on the long game, to the point of being seemingly unconcerned with the present. He is focused on collecting information constantly and is remarkably dispassionate about war which allows him to appreciate his enemies for their strengths. In one of the most striking scenes of “Hera’s Heroes,” Thrawn angrily lashes out at Slavin’s failure to appreciate the significance of the Kalikori. What seems like a moment out of character instead reveals deep-seeded priorities: Thrawn is loyal to the Empire, but one could argue that his higher allegiance is to the tenets of efficiency and order that the Empire represents. For Thrawn, strength can be found in the opposition and weakness can certainly be found in his own forces. So it is with curiosity that Thrawn considers Hera’s desire to destroy her family’s heirloom when the Twi’lek pilot risked so much for it. In fact, his inquisitiveness extends to allowing both Cham and Hera Syndulla escape at the cost of the destruction of their home. Allowing the rebels to flee unmolested, Thrawn comments that his enemies have “earned their victory.” But what has really been earned is a great deal of information about the rebels. Cham is willing to give himself up for his daughter and Hera is willing to sacrifice her history and her home for the freedom of others. Knowing what his enemies value and how far they are willing to go to protect those things will surely be factored into Thrawn’s future plans. So, as Thrawn continually demonstrates his tactical superiority over his Imperial peers, one is left to wonder what would have happened in the key battles yet to be fought during Star Wars’ original trilogy. Would he have made a difference? And why didn’t he get a chance to rise higher through the ranks and be afforded opportunities to make those differences. Hopefully Star Wars Rebels will answer those questions. Stay tuned. Next article Rebels Reactions: "Hera's Heroes"